Save yourself the hassle of dealing with airport taxi drivers that will try to charge you a lot. 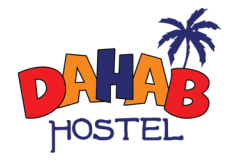 Book your Airport Pickup and you will find our representative waiting for you holding a sign of your name and Dahab hostel, after you finish passport checking and custom clearance. Note: You must have a room booking with us before you can order your airport pickup. Don't have a room booking?